When it’s time to change up your style, braided updos are a great option if you are looking for an eye-catching look that will turn traditional updos on its head. Updos are a great look for curly girls and can dress up just about any look that you rock. Plus, braided updos are low maintenance, which is music to curly girls’ ears! Check out these curly ladies below and how they stylied their braided updos! This look gives us angel vibes with the braid serving as a “halo” to celebrate your hair. This is a beautiful braided crown with criss cross braids in the center to add some extra detail and creativity. Alright, so I know this only counts as half an updo — but if there’s a little updo action, we’re counting it! 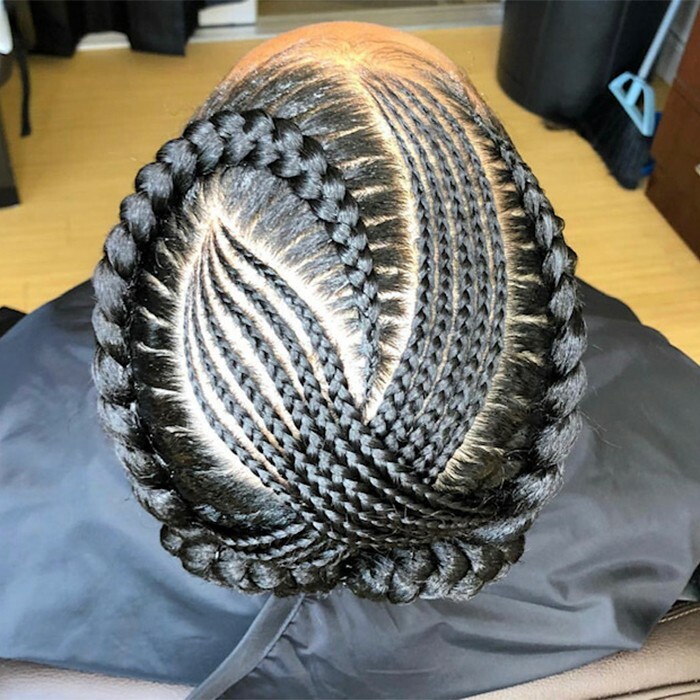 This braided “half-do” is half feed-in braids — extensions of hair you include in your cornrows by simply braiding them into your natural hair — and half Senegalese twists. 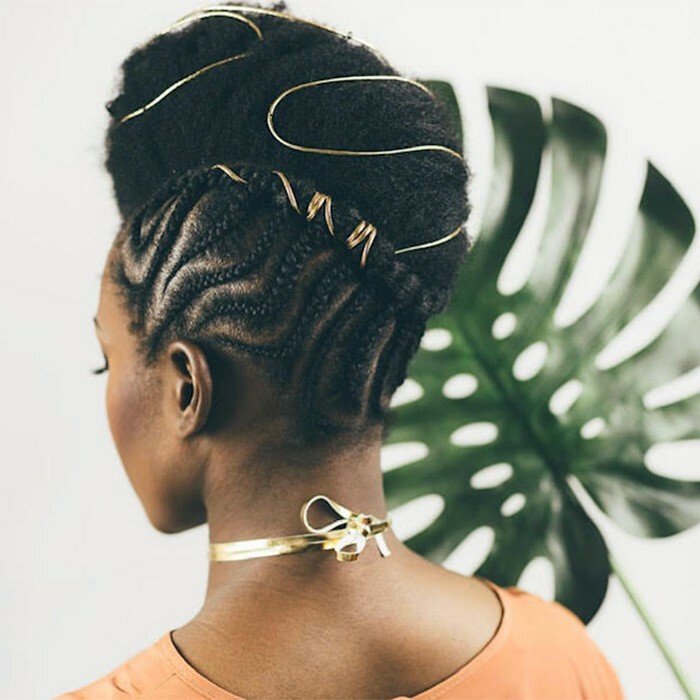 This killer combo of braids and twists is a great head-turning look! This beautiful feed-in style is a great transitional look that can be worn as a low bun and is just in time for Valentines day. For those looking for an upgrade to feed-in cornrows, this braided top knot with side braids is a great look. We recommend adding in beads in the end of your loose braids or adding jewels to the cornrows. This is a great twist on your standard butterfly braid, which normally hangs down like a typical french braid. You can add in colorful string or jewels to this look to make it really stand out. Can’t choose between braids or twists? Do both and throw them into a fancy mohawk! For a look out of this world, try doing feed-in cornrows and putting the left over hair in two space buns. Add some hair accessories to give this style a one-of-a kind look. To turn-up the notch on a classic cornrow style, add a low bun to the style and top it off with some cute gold jewels in your hair! Looking to show off your braiding and twisting skills? Well this updo covers all of that and then some! This look involves braiding the front half of your hair, and then twisting the back half, with a low braided halo. 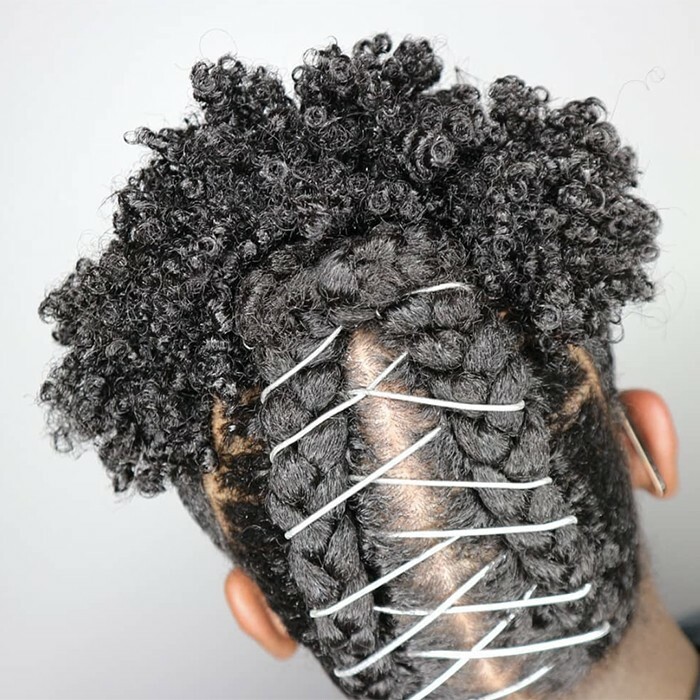 With the amount of braiding and twisting for this style, we recommend using a creme, like Darcy's Botanicals Organic Coconut & Aloe Moisture Pudding, which will leave your hair soft and moisturized after you take down the style. Plus, when you take this look down, you’ll have a killer braid out and twist out! This braided up ponytail is a fabulous updo style that can be done with your natural hair to show off your curls. Spice up this simple braided style with white string to make your style pop. If you’re already rocking braids, you can still join in on the updo fun! This double-do look from @theislandiva is a great look for those with braids looking to switch up their style. 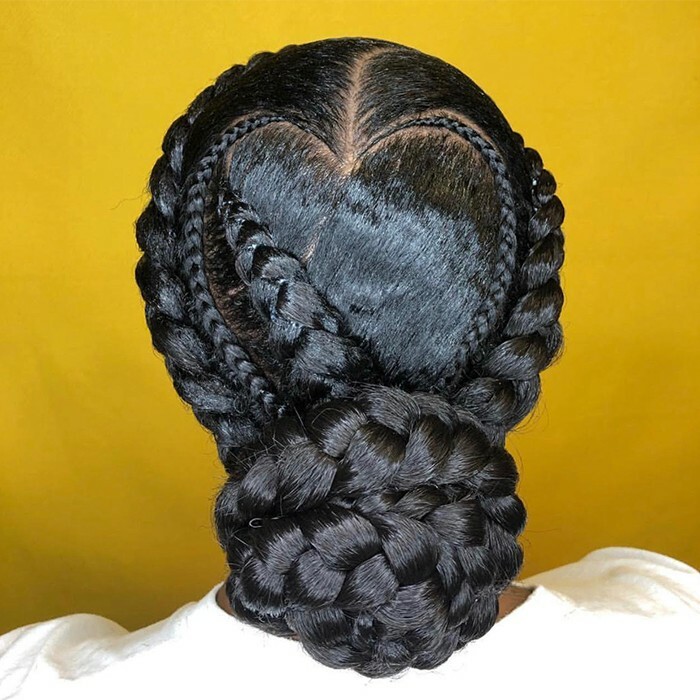 To keep your braids fresh and not frizz, we recommend using two products from Protective Styles: the Refresh And So Clean Bamboo, Avocado And Peppermint Dry Gel Shampoo and the second is Intense Moisture Bamboo And Coconut Milk Strengthening Leave-in Conditioner. Check out our article to learn more on the two products and how to use them to keep your braids fresh! If you’re looking to add a twist to your typical low bun style, we recommend this beautiful braided style with an eye-catching pattern in the back! With this style, your skills will be put to the test, but the end result is amazing! If you’re looking to achieve to fro-hawk looks, try using crochet braids to add extra hair and volume! This royal look is timeless and inspired by African royalty. The gold coil is the perfect touch to glam up this braided updo. This style is great for a fancy event, like a wedding or dinner party! While the braiding is minimal, the star of the show is the top — where you can use crochet braids to achieve the volume. Check out our story on the top brands of Marley hair for crochet braids, under $10! Which style are you looking forward to trying? Let us know in the comments below!